On Friday, an Australian court denied permitting for a coal mine in the heart of coal country. Though it can be appealed, the decision represents a major victory in an otherwise bleak climate policy landscape and could provide fodder for the growing number of climate lawsuits around the world. Scientists have been arguing for years that continuing to burn coal is an existential threat to humanity. Yet the world continues to unearth it and burn it. Hell, coal even got a huge platform at the world’s climate talks last year. 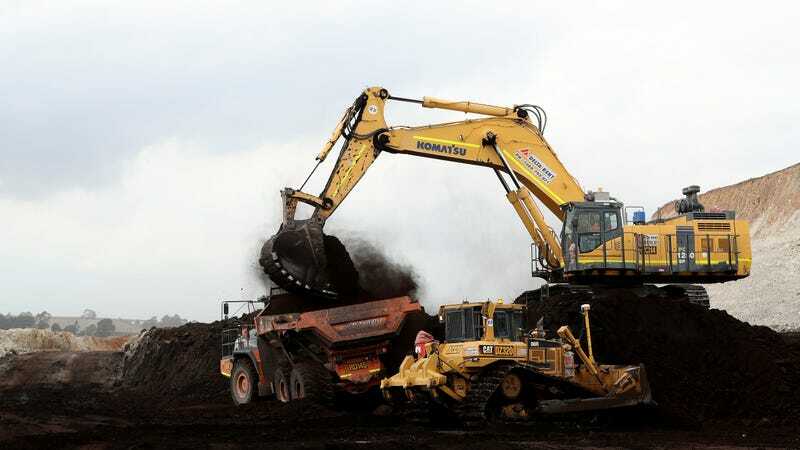 Australia is one of the biggest culprits with the fourth largest mining operation in the globe behind China, India, and the U.S. More than half the coal mined there is exported and much of it ends up in China and other Asian countries. The Rocky Hill mine in New South Wales was supposed to contribute to that flow of coal. But in December 2017, the state’s planning commission rejected it. That in turn prompted Gloucester Resources Limited, the company planning the mine, to appeal the decision to the New South Wales Land and Environment Court. On Friday, the court rejected the mine explicitly on climate grounds. “The effects of carbon in the atmosphere arising from activities in the Project site, and the burning of the coal extracted from the mine, are inconsistent with existing carbon budget and policy intentions to keep global temperature increases to below 1.5º to 2º Celsius (C) above pre-industrial levels and would have a cumulative effect on climate change effects in the long term,” Chief Justice Brian Preston wrote in his decision. He also cited the impacts on society and the landscape, but it’s the climate portion of his decision that could reverberate around the world. Climate cases have faced pretty stiff headwinds lately. While some, like Massachusetts’ suit against Exxon or a major Dutch case against the government, have proceeded, others have been shot down or put on hold. That includes a major trial by California cities against oil companies that was dismissed, and the youth climate trial against the U.S. federal government that’s on hold. It’s possible the Australia court decision could be appealed and overturned, but Justine Bell-James, an Australian legal expert, called it a “hugely significant ruling” in an article for The Conversation. Other Australian groups are also eying other coal plants to bring suits against that could be vulnerable. But the ruling could also reverberate in other countries by giving climate suits there a precedent to point to for freezing fossil fuel infrastructure because it endangers the climate and humanity. The Nenana Ice Classic Tripod, seen.